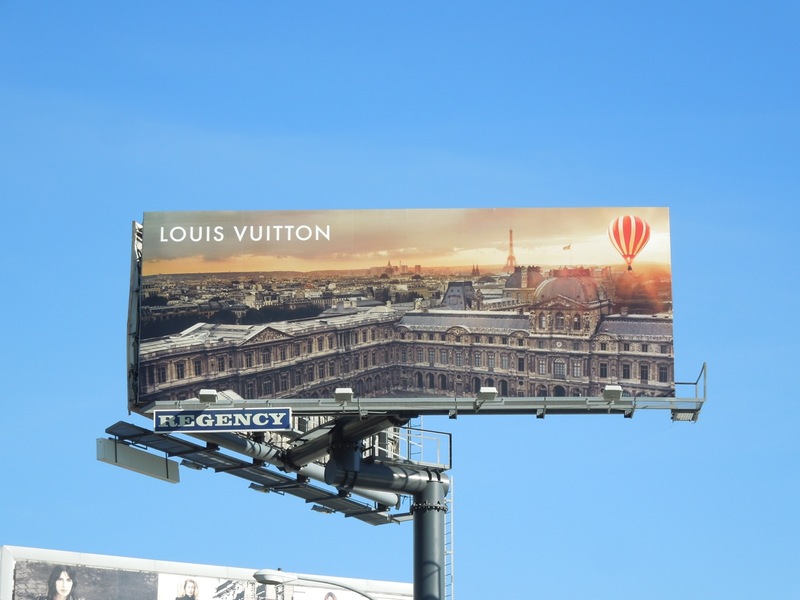 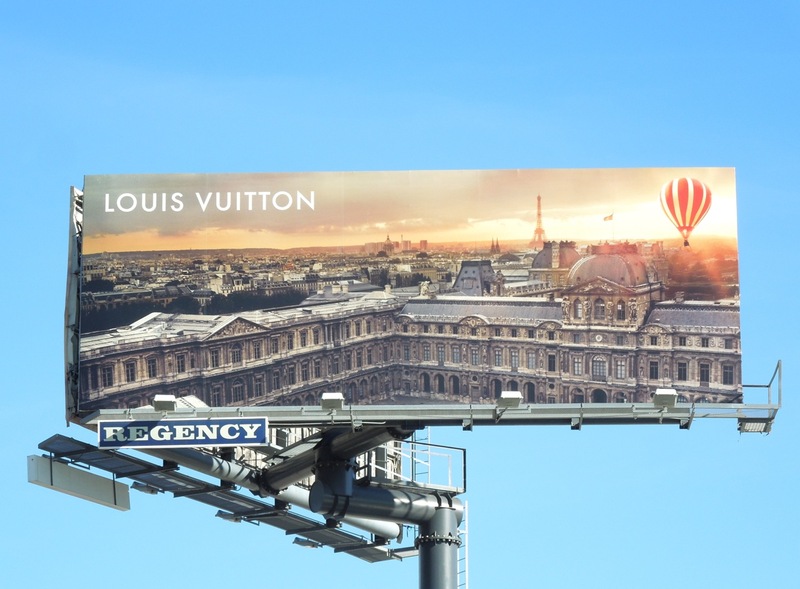 There's something really quite romantic and magical about this latest billboard from Louis Vuitton. In fact this fantastical hot air balloon over Paris imagery comes from the luxury fashion house's first ever television commercial. 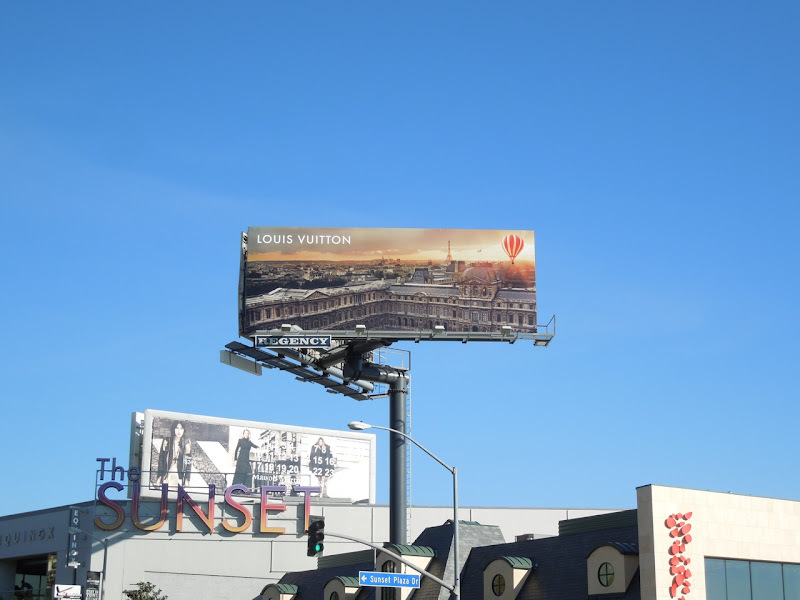 As well as feeling seasonally appropriate, there's also something inspirational and aspirational about the visual flying high over Sunset Plaza in L.A. and it's such a refreshing change from the usual fashion photo story in the brand's usual billboard location. 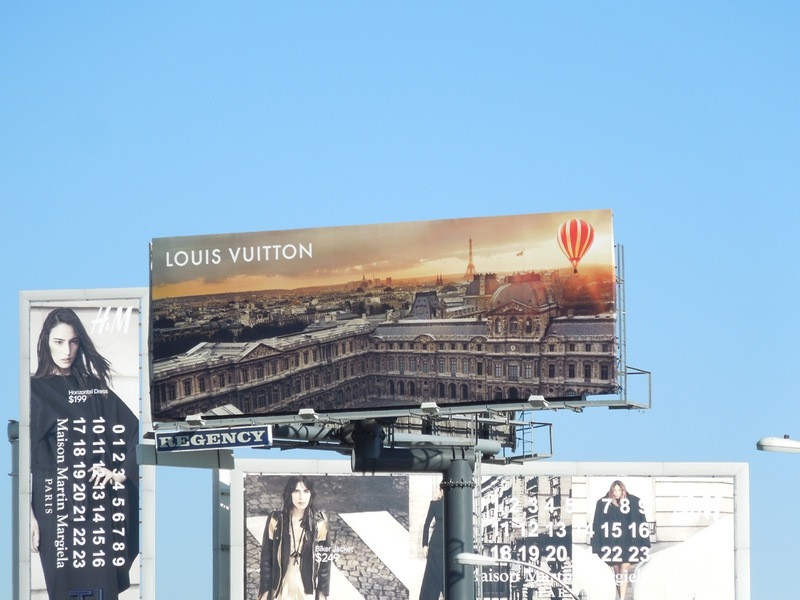 This stylish and distinctive billboard ad was spotted along Sunset Boulevard on November 23, 2012.